Yesterday I saw the film Prometheus. The reception of this film has been mixed. While it is generally considered to be visually stunning, many viewers had serious problems with the plot and the characters. Without entering into this specific debate, I want to address the wider question of story-telling in different media. I enjoy films, but reading was and remains my first love. Perhaps this is because I have a linguistic mind and a vivid imagination. Words written by a skilled writer can express the entire range of stories that the human imagination is capable of creating. Films have other advantages: the ability to show visuals, which can create a strong response in viewers, as vision is one of our two primary senses; the use of music, arousing emotion through the second of our primary senses; and acting. Since we are strongly programmed to understand human facial expressions and body language, acting can be one of the most profound forms of communication. However, story-telling originated in language, in oral recitations of both daily and fantastical events. When writing was invented, story-telling was naturally transferred to the new medium, and has developed there ever since. While it can be argued that theatre also developed story-telling, using acting and visual effects, I think it is relevant that theatre originally had a ritual function, and in many cases is very formalized. In my opinion, there are two main qualities of films that make them a less suited vehicle for story-telling compared with writing. First, the visual aspects (including the acting) are given precedence over the narrative. Second, a film is always a collaborative endeavour, requiring many compromises. Film makers necessarily have a strong visual skill-set, enabling them to visualize the scenes in terms of camera angles, the actors' positions, and so on. A vast amount of money is currently invested in visual effects, both physical and digital. Some films seem to contain impressive effects just because they can now be portrayed, rather than because the plot requires them to be shown. The teamwork required in film making, and the way in which commercial considerations triumph over artistic merit, often lead to the script being considered the least important part of the process. The story has to contain certain common motifs, the ending has to satisfy viewers in early focus groups, and the characters tend to be simplistic stereotypes. In contrast to all this, the author of a written story has complete freedom of imagination, and is limited only by his or her verbal skills. Things that would be difficult or expensive to recreate visually can be described vividly in language. 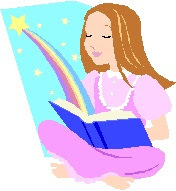 The words create a direct bridge between the author's imagination and the reader's imagination. Characters can be studied intimately, with the ability to write their internal monologue, thoughts, emotions, and motivations in a much more detailed way than can usually be portrayed in film. The larger scope of a novel allows more time to be spent with each character, while in films the steps of their personal journeys often have to be expressed in a simplified way in brief moments. Authors usually work alone, and maintain almost complete control over their work. Even when they ask for feedback from early readers and their editor, they have the final say over how much to change. Some authors may adapt their writing to suit various publishing considerations, but I believe this is less common than the sort of compromises required in film making. To conclude, I recommend that viewers who become disappointed at the level of story-telling in films should try reading books instead. The experience is more active than watching a film, and I believe this makes it more satisfying.